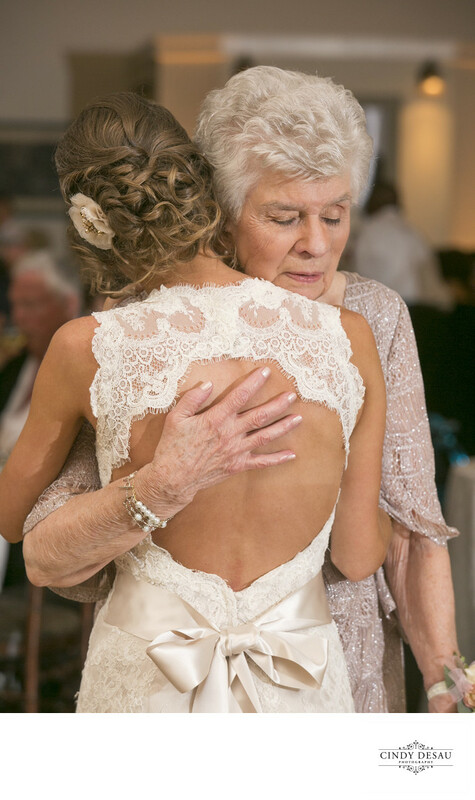 This bride is so close to her grandmother. In another one of my photographs from this wedding, this grandmother’s face is priceless as she walks her granddaughter down the aisle. Here she leans on her cane while she hugs and has a special dance with her precious girl, who is now a bride. I absolutely love capturing these moments for my clients, as I know they are going to cherish my images for the rest of their lives.